Zechariah, a Jewish priest, was Elizabeth’s husband. The scripture records that they were both of priestly lines; they were righteous in God’s eyes; both were well advanced in age and they had no children. We learned about Elizabeth’s visit from Mary, the mother of Jesus, yesterday. Each morning a priest would enter into the Holy Place in the Temple and burn incense. When the incense was burned and the smoke went up out of the Holy Place the people would see the smoke and pray. Incense in the Bible represents the prayers of the people. On this particular day the lot fell to Zechariah for this duty. But it was not by chance that God had Zechariah in the Holy Place that particular day for He had a message for him that the Angel was to deliver that morning. While he was in the Holy Place burning the incense the Angel of the Lord, Gabriel, appeared to him and gave him this message: “Don’t be afraid, Zechariah! God has heard your prayer. Your wife, Elizabeth, will give you a son, and you are to name him John.” Zechariah was afraid for he had never had a visitation from an angel. But Gabriel told him not to be afraid because he had a message for him from God. After delivering the message we hear something totally different coming out of Zechariah’s mouth than we did from Mary in our lesson yesterday. Zechariah exhibited unbelief in his response to Gabriel where Mary exhibited faith in her response. Zechariah said “How can I be sure this will happen? I’m an old man now, and my wife is also well along in years.” Zechariah allowed his age to speak more loudly than the promise of God or God’s ability to bring into manifestation the promise that He had given him. The waves around him were bigger in his mind than his God! He couldn’t see past the roadblocks in his life to see that God could make a way where there seemed to be no way! Sometimes we don’t understand the roadblocks along the path to the fulfillment of our promise. But often they are to show us the power of God in our lives so that we will believe what He has promised in it’s fulfillment. Zechariah’s mouth was shut until the promise could come into manifestation. His ability to pass on a doubtful attitude was silenced because we speak what we believe. 2 Corinthians 4:13 NKJV And since we have the same spirit of faith, according to what is written, “I believed and therefore I spoke,” we also believe and therefore speak. God honors faith! He expects us to believe Him when He gives us a promise. Many are the promises of God and they are all “Yes, and in Him Amen, to the glory of God through us.” (2 Corinthians 1:20) God’s fulfillment of His promises in our lives gives Him glory! He is glorified through us as He brings into manifestation those things that He has promised. When we reach out and take them by faith He opens the door for them to happen and they are fulfilled in His timing. We work with Him in believing that He is doing what He has promised. Hebrews 11:6, 7 NLT So, you, see, it is impossible to please God without faith. Anyone who wants to come to him must believe that there is a God and that he rewards those who sincerely seek him. It was by faith that Noah built an ark to save his family from the flood. He obeyed god, who warned him about something that had never happened before. By his faith he condemned the rest of the world and was made right in God’s sight. Faith brings the grace of God into our lives. Without it God’s ability to work in our lives is greatly hindered. According to Hebrews 11:6 we can’t be pleasing to God without faith. Do you believe today that God will perform His promises in your life? Or, maybe I should say, WILL you believe that God will do what He has promised in your life? Father, I thank You for the accounts in Your word of how You have performed Your promises in the lives of real people to show us that what You have done for one You will do for another. I know that You are no respecter of persons, Father, and I thank You that I have been able to look into Your word and see those times that I needed encouragement through what You have done in someone else’s life to enable me to stand firm in faith believing that You would do it also in my life. Thank You for giving us the measure of faith that causes us to believe that Your word is true and that You will do what You promise. I pray for those this morning who may be struggling with their faith walk. I ask You to give them a glimpse in Your word of how You have performed a promise for someone else so that they can have their faith built up to believe that You will do the same for them as well. I pray that they will guard their speech so that they do not negate the promise that You have given them. I pray that their speech will be of only Your word and not their fears. Father, silence the voice of the enemy in their minds that’s saying it will never happen or that it’s impossible for that promise to be fulfilled. Father, there is nothing impossible with You and You’ve said that all things are possible to him who believes. Thank You, Father, for giving us Your word to stand on and Your Spirit within to confirm the word to us. Thank You, Holy Spirit, for leading us and guiding us into all truth! Lord Jesus, may You be glorified in us as we believe that the promises of God are Yes and Amen to us in our lives. In Jesus’ name I pray. Amen. There are so many miracles that occurred with the birth of the Savior that we often overlook them. This is one of them. Elizabeth was the wife of Zacharias, the priest. The scripture records that they were well advanced in age and they had no child because Elizabeth was barren. Luke 1:6, 7 And they were both righteous before God, walking in all the commandments and ordinances of the Lord blameless. But they had no child, because Elizabeth was barren, and they were both well advanced in years. We often don’t understand why things happen as they do. Here was a couple that had walked before God righteously, had kept all His commandments and ordinances and were blameless in His sight and yet the blessing of childhood had eluded them. There was a stigma that was attached to barrenness in women during Biblical times. It was said to indicate a curse from God upon the woman who could not bare children. It was of utmost importance to women in Biblical times to be able to fulfill their role as a wife in being able to bare children to their husbands that would carry on the family name. There are many this morning that are praying and have been praying for years to conceive a child and yet find themselves month after month without the good news of pregnancy. Elizabeth had been “called” barren; it says in Luke 1:36. People had said that it was impossible for her to become pregnant. She had been termed as a “hopeless case” for pregnancy. The voices of those around her had reinforced her greatest fear of not being able to conceive. But there was one thing they hadn’t thought about…..God’s power to intervene and bring into existence the impossible! God had a purpose for Zacharias and Elizabeth and the child that He would bring into their lives. That purpose had a time for fulfillment and He needed a couple who were dedicated to living according to His will to bring that child up in the way that he should go so he could fulfill the purpose of being the forerunner for the Christ child. Elizabeth had grown wise in her knowledge of the Lord in all those years of waiting. She would be the perfect one to encourage Mary, a little, young virgin to whom He had given the express purpose of being the mother of the Savior of the world. 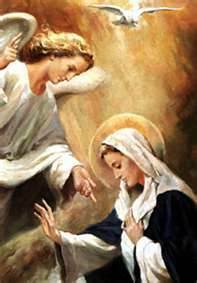 She would be able to confirm to Mary that God is the God of impossibilities and all that He had spoken to her would come to pass because she, herself, was a recipient of His miraculous power at that very moment! Mary knew to go to the one person that would be able to encourage her and share with her about the mighty workings of the Lord. She left immediately after the angel told her that she would give birth to the Son of God to go see Elizabeth because she knew that she would be able to give her wise counsel regarding this miracle. Mary rejoiced in the fact that she was blessed to be the one who would bring the Christ child into the world. Elizabeth’s son, also, would play an important part in ushering in the Savior of the world. He went before Jesus to pave the way for the people to receive God’s perfect gift of salvation. Elizabeth said to Mary that day, “Blessed is she who believed for there will be a fulfillment of those things which were told her from the Lord.” She had already walked that path of believing; she knew the importance of receiving by faith what God had said through the angel. It was happening to her and she had had to believe when her husband came home unable to speak because of his encounter with the Angel of the Lord that had told him they would have a son in their old age. Elizabeth knew that in order to receive the impossible you had to believe that God was able to do what He had promised. Mary stayed with Elizabeth about three months after that miraculous conception. I believe she stayed that long to be encouraged in her faith to continue to believe. She had no visual proof of her pregnancy prior to that and it would have been easy to waiver in her faith until the visual manifestation of pregnancy could be seen or felt. But with Elizabeth she could voice her concerns and know that she would be understood and encouraged to continue to believe. She was sheltered from the questions of the community and given time to prepare for that time when everyone would know that she was pregnant and the accusations of being pregnant outside of wedlock would occur. With Elizabeth she could be herself, strengthened in her faith and prepared to walk the walk that, as a young virgin, she could not have even imagined would happen to her. When God speaks a promise to us we can be sure that if we will receive it by faith and expect it to happen, that it will come to pass. Numbers 23:19 NLT God is not a man, that he should lie. He is not a human, that he should change his mind. Has he ever spoken and failed to act? Has he ever promised and not carried it through? Mary believed and received the promise that God gave her through that Angel. Maybe you’re in an impossible situation this morning. Has God spoken a promise to you that you have not yet seen fulfilled? Are you wavering in your faith wondering if He really promised that or if you were just presumptuous in thinking you might receive the impossible? God is faithful to keep His promises! Ephesians 3:20, 21 NLT Now glory be to God! By his mighty power at work within us, he is able to accomplish infinitely more than we would ever dare to ask or hope. May he be given glory in the church and in Christ Jesus forever and ever through endless ages. Amen. Father, I thank You for Your miraculous power that is working in us, Your children. I know You are able to do the things that You have promised us in Your word and through the times we have communed with You in prayer. Father, there are those today who have been standing in faith waiting for the fulfillment of those things that You have promised them. I ask You to encourage them as only You can. Place people of faith around them to help them continue to believe. Father, give them a glimpse of what You are doing in their lives to keep the vision of the promise alive within them. Thank You for showing us through this story of Mary and Elizabeth how You work the impossible in different situations in the lives of Your people. I thank You for the purpose that You have for each of our lives. May we reflect Your glory while we wait for our promises. Thank You, Father! To You be all the glory and honor. In Jesus’ name I pray. Amen. by aviesplace2012 in Christian Devotionals, Christianity, Faith, Religion, Spiritual Warfare, Uncategorized Tags: Angel of the Lord, God, God has a calling on your life., Holy Spirit, HolySpirit, I'm yours., Let it be unto me as Mary said., Lord, Lord Jesus, Mary, Will you be as Mary?, Will you receive God's calling on your life? Did you know that when God speaks a word into your life that you will never be the same again? Mary had a visitation from the angel of the Lord that totally changed her life. She received what He told her by faith and humbly submitted herself to God’s plan for her life without questioning every detail of how it would happen or what others would think of her. By understanding her position as a servant of the Most High God, Mary was willing to pay the price to be the vessel that God would flow through to impact the world for His Kingdom. She simply responded with her desire that His will be done in her life. The calling that God had on Mary’s life was a very real calling; He wanted to do great and mighty things through her life. He has a calling on each one of our lives. Will you be willing to surrender to His calling regardless of the possible consequences on your life? Mary’s cousin, Elizabeth, later made this statement about her: “Blessed is she who believed, for there will be a fulfillment of those things which were told her from the Lord.” Elizabeth called Mary “blessed” because she believed the message from the Lord that the angel had delivered to her. Mary was blessed to be a vessel that God could use to usher His salvation into the world. Each one of us is blessed to be a blessing to those around us, no matter how small or how great. We tend to view the ones that are more visible as being of greater use to the Lord, but He sees each one of us as His own special messenger, sent to do the work that He has called us to do. None is greater than another in God’s eyes. But each calling is just as vitally important as the next one. The only requirement that God has of us is as we yield to His will for His life that we have faith to believe that, as Mary, it will be as He has said; that we will believe Him to fulfill His work through us. Father, I thank You for choosing me to do whatever You desire to do through my life. I yield my will to Yours and receive the calling that You have on my life to effect change in my world. Father, I ask You to make it clear to me what You would have me to do and say as You direct me to share Your word and Your love with those around me. I ask You, Lord, to give me the courage that I need to stand up and be counted for Your righteous cause in this day and hour; that I might not give in to the ways of the world, but will continue to stand in faith believing that You will do in me and through me what You have planned for my life. I pray for my friends this morning that they might also seek Your will for their lives and then stand in faith believing that You will bring it to pass in Your time. Give them the vision that You want them to have of the calling that You have on each of their lives. Empower them by Your Spirit to do the work and give them courage to stand strong in the face of adversity. Thank You, Father, for making us world changers in these last days. In Jesus’ name I pray. Amen. And causes me to stand. Without You I am weak. Thank You for Your love, Lord. You are my life, my light. I pledge my love to You, Lord. I give You all I am. My shepherd, like a lamb.